A switchable electrochromatic film that can be installed onto any existing glass with switchable mode features. The ultimate product which performs like no other. Switchable mode glass that also offers projection and Plug & Play system. 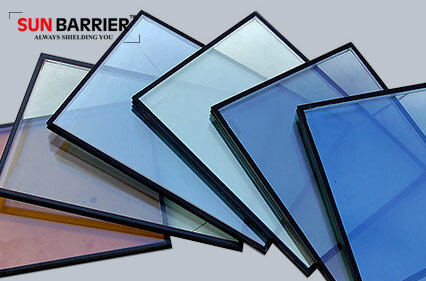 A variety of colour options of Smart Glass to suit any space, mood or style. Smart Film is a thin film where it can be installed onto any existing glass. It changes its visual appearance from frosted to transparent and vice versa by using a remote control. Our film is frosted/opaque when powered off and transparent/clear when powered on. We offer a complete hard wired system that is made-to-order as well as a Plug and Play System available in 6 colours. Smart Film is compatible with smart home automation systems. This amazing technology provides up to 99% UV radiation protection and heat rejection. Sun Barrier Smart Glass is a state of the art laminated glass with a liquid crystal PDLC interlayer sandwiched between two sheets of glass. 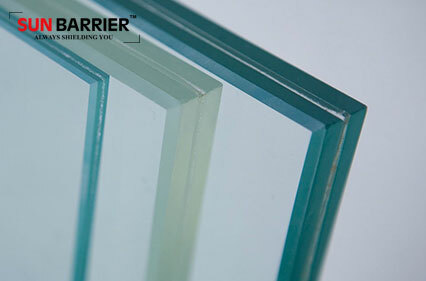 Smart Glass is a laminated glass product consisting of a Polymer Dispersed Liquid Crystal (PDLC) film sandwiched between two layers of glass and two layers of conductive interlayers. The PDLC film is what allows you to change the visual appearance of the glass from opaque to clear on command (or dim anywhere in between). Our CE approved technology provides unprecedented control over the amount of light, privacy and heat that enters a space and is ideal for residential homes, commercial buildings, meeting areas etc. Smart Glass is available in a variety of shapes, sizes, compositions and is compatible with smart home automation systems. With the advanced liquid crystal colouring process, it provides characteristics such as high transparency, protection against infrared thermal radiation and sound cancelling. This allows clients to express themselves in how they will create their own space. 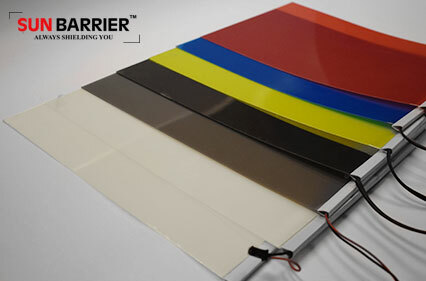 Sun Barrier Colourful Smart Glass comes in any types of sizes and colours. This truly opens up the era of diversification where you can challenge your creative minds and be unique.